My husband and I drift in and out of sleep as the sun begins to rise over Tarangire National Park in Tanzania. Exotic birds sing morning songs we’ve never heard before. 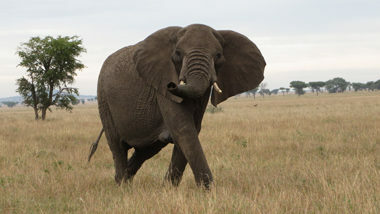 In the distance, an elephant trumpets. There’s a rustling outside our tent, and then the quick footsteps of a vervet monkey on the roof, as he makes his way to a neighboring tree. The sun begins to fill our tent, and through the mesh windows we see we’re surrounded by impala feeding just inches outside. This is no average morning, and this is not your average destination. The tented camp at Sanctuary Swala was our first stop on an amazing 10-day tour of Tanzania, and Kenya, hosted by CIRE Travel’s tour partners at Abercrombie & Kent. Don’t let the phrase “tented camp” mislead you. All the “tents” are furnished with every comparable amenity like a luxury hotel room. Every night at camp, we’d watch the sun go down over Tarangire National Park as zebra, elephants, and giraffes gathered around the neighboring watering hole for one final drink. Impala, vervet monkeys, and a chorus of exotic birds who made the camp their home greeted us each morning. By day, we’d climb into our safari vehicles, and see all that Africa had to offer: elephants cooling off in the rivers, giraffes feeding on treetops, and lions sleeping in the grass. 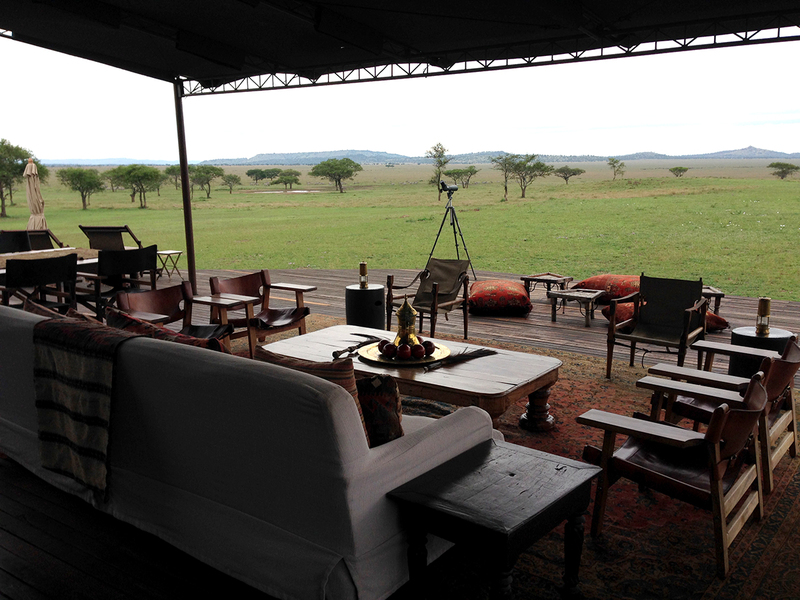 A few days later we arrived at another luxury-tented camp, Sanctuary Kichakani, in the heart of the Serengeti. 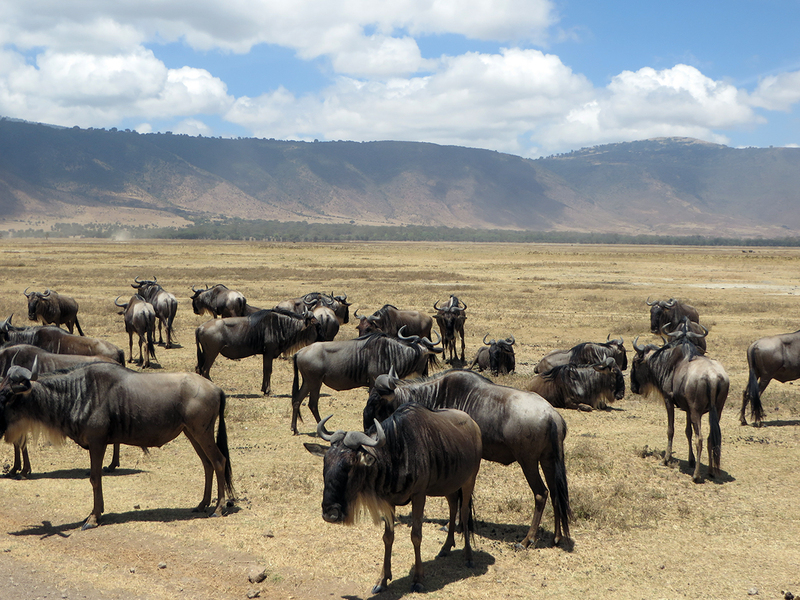 This mobile-tented camp moves annually to follow the “Great Migration,” when the zebra, and wildebeest follow the cycle of the seasons, and make the long journey from Kenya’s Masai Mara to Tanazania’s Serengeti in search of more abundant food. As a mobile camp, there are no permanent structures, and no fences between you and the animals. As we arrived, a family of giraffes fed in a cluster of trees directly next to our tent. They eyed us suspiciously as our bags were carried inside. At night, after a full day of safari, the comforts of the five-star accommodation made you easy with the sound of lions roaring in the distance. Not all our stays were in tented camps. 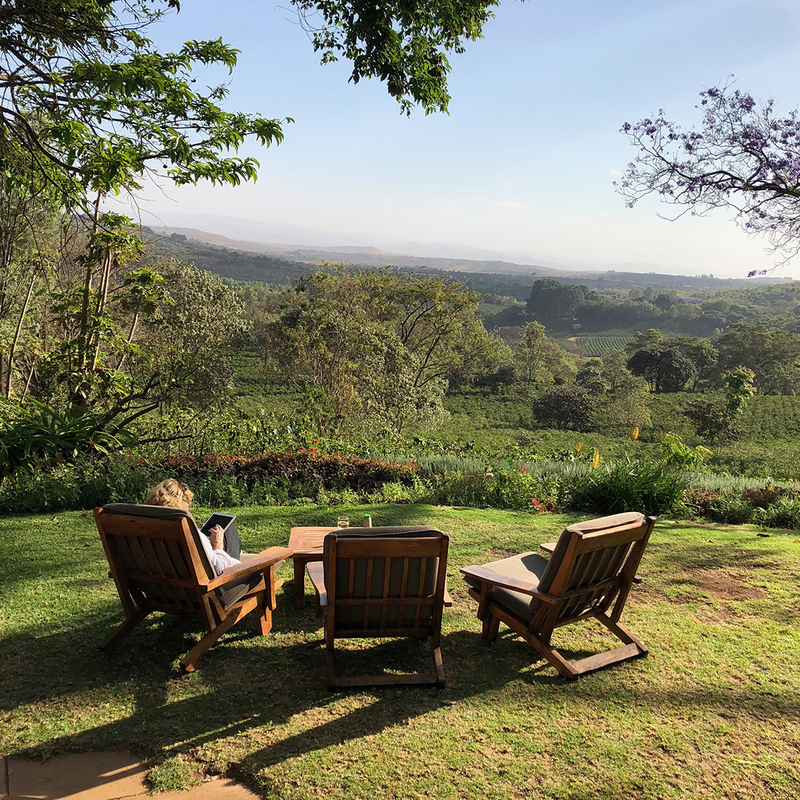 We stayed at the fabulous Gibb’s Farm near the Ngorongoro Crater. Set in a working coffee plantation with views overlooking the valley, we wished we could have stayed longer at Gibb’s. With its stately rooms, warming en-suite fireplace, and gourmet dining, one night was not enough. After a daylong safari in the crater itself, we spent another memorable night at the andBeyond Ngorongoro Crater Lodge, perched high on the rim of the crater. With unmatched views, and even more incredible rooms, we were treated to cocktails in a spectacular wood-paneled bar, and a fabulous birthday dinner celebration for one of our traveling companions, complete with song, and dance from the local Masaai staff. Our next stay took us to a pair of Singita properties in the Grumeti Reserve of Tanzania. We stayed for three nights at the Singita Sasakwa Lodge, one of the highlights of the trip. 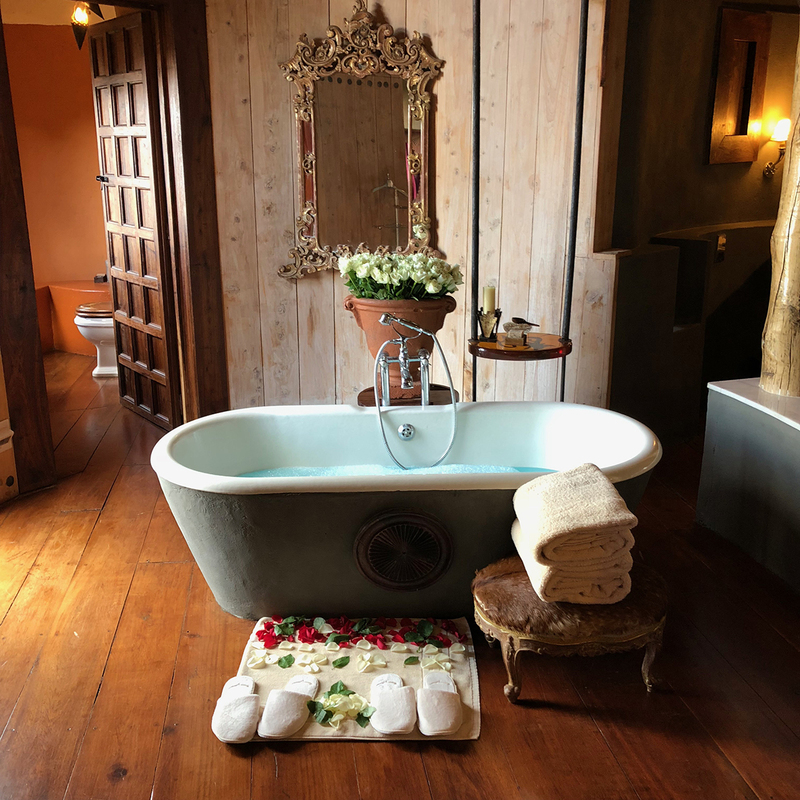 The Sasakwa Lodge offers your own private bungalow with curated furnishings and one-of-a-kind African décor, plus a private plunge pool overlooking the reserve (semi-private if the local baboons are watching). 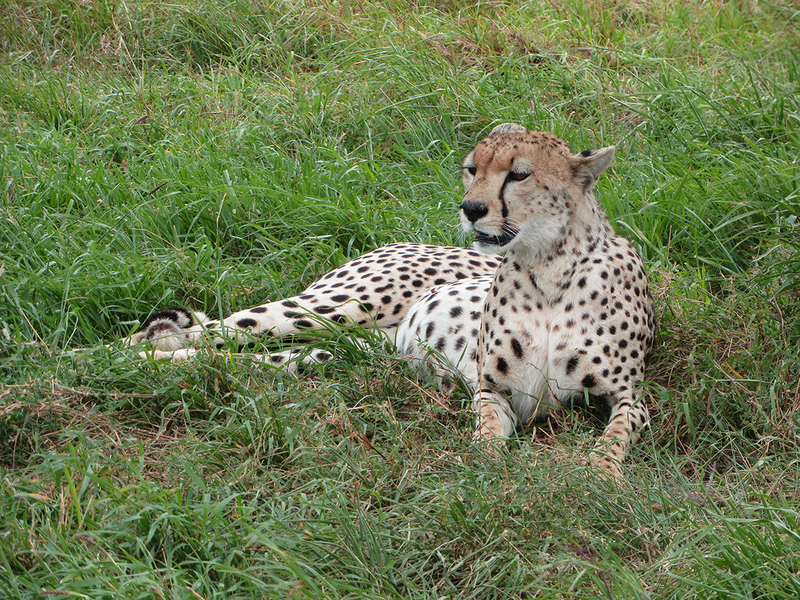 Here we joined the ranks of past visitors, like the Obamas and George Clooneys, to enjoy one of the finest safari experiences of our trip, replete with cheetahs in the grass, leopards lounging in trees, and lions feeding on wildebeest. Our travel companions stayed at the Singita Sabora tented camp, which sits in the midst of the reserve itself. Sabora is a mobile camp unlike any you can imagine. The tents are decorated with sourced period furnishings that carry you back to the days of a 1920’s explorer camp, although no explorer camp had a mobile fitness room or day spa. Thanks to expansive views of the African plains, our friends woke to find lions gathered at the watering hole behind their tent, and returned later after safari to zebras, and wildebeest. 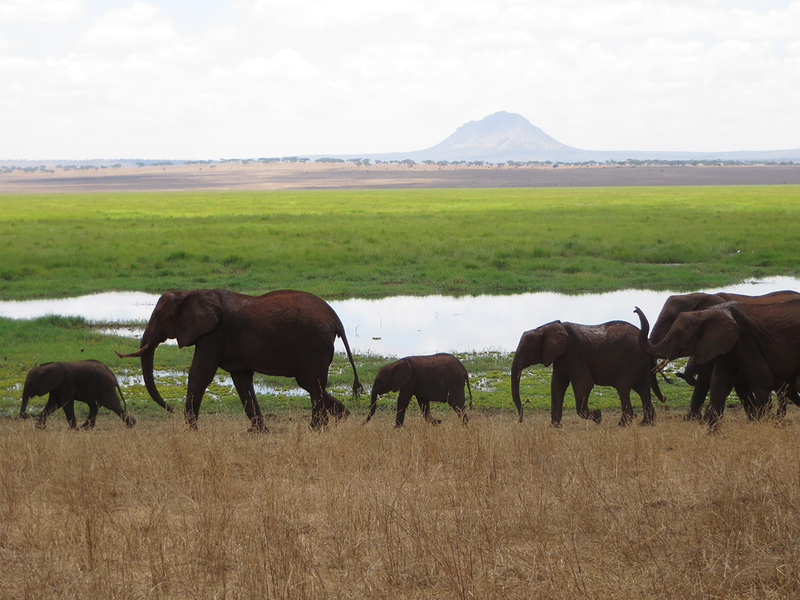 At the end of our trip, we arrived in Kenya for three nights at the Sanctuary Olonana Lodge located in the Masai Mara. Formerly a tented camp, this property has recently been upgraded to individual luxury suites that sit directly on the banks of the Mara River. 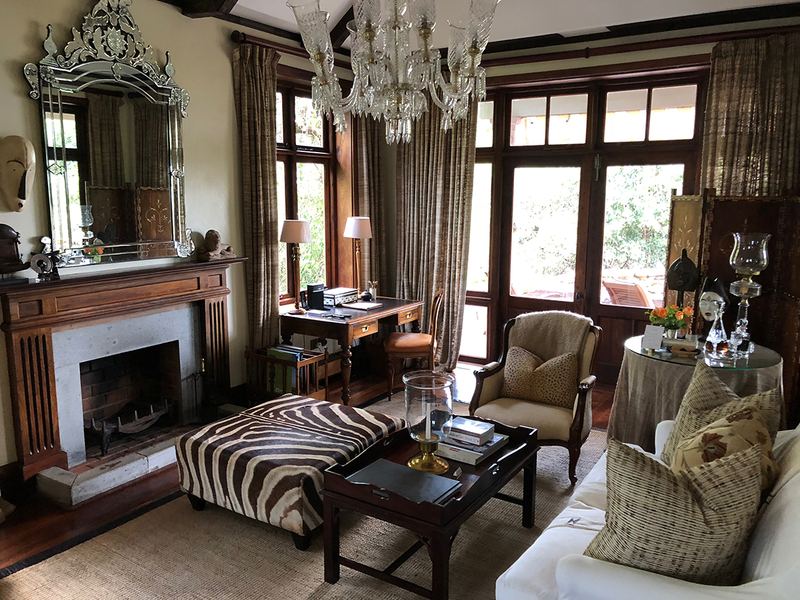 The glass-walled bungalows, and modern open plan afford intimate views of hippos cooling off under your balcony, and the entrance to the Masai Mara National Reserve is only minutes away. Here we saw the Big Five: elephants, leopards, water buffalo, and rhinos, as well as had three separate close-up encounters with lions. On our anniversary (a happy coincidence that it occurred during this incredible trip? ), we took a day off from the safari for a much-needed massage at the open-air spa, complete with the Mara River rapids providing the background music. It was the perfect end to the perfect trip.